Today’s my brother’s birthday. He would have been 39 years old. Like most kids I knew in the ’70s, his early birthdays were filled with parties, presents and cakes that reflected the theme of the celebration. My mom dutifully organized and staffed these relatively low-key, backyard events. Little did I know how little this date meant to her. On July 20, 1994, a little over a year after my brother’s death, my parents and I sat at an Italian restaurant in my hometown. Rarely one to let pink elephants lie, I wondered aloud if anyone wanted to mark the occasion somehow. Funny thing is, I never knew that. I knew that my soon-to-be-adopted brother would be about 2 months old when he came to live at our house on Walnut Street. I knew his name would be Steven (despite my lobbying for Michael). I knew he was coming to live with a family that would love him very much. I remember the excitement that surrounded his homecoming. Well, OK, I remember my excitement. I was 5 years old and had recently started morning kindergarten. I went off to school that day knowing that my new little brother would be at home when I returned. I talked about him to anyone who would listen. I said I wanted to bring him in for show-and-tell. I couldn’t wait to meet him! After school, I ran into the house to find him in his playpen. Sooooo cute. Sooooo worth cooing over. My new little brother! I remember a lot about the day he came home. Funny thing is, I don’t remember the date at all. 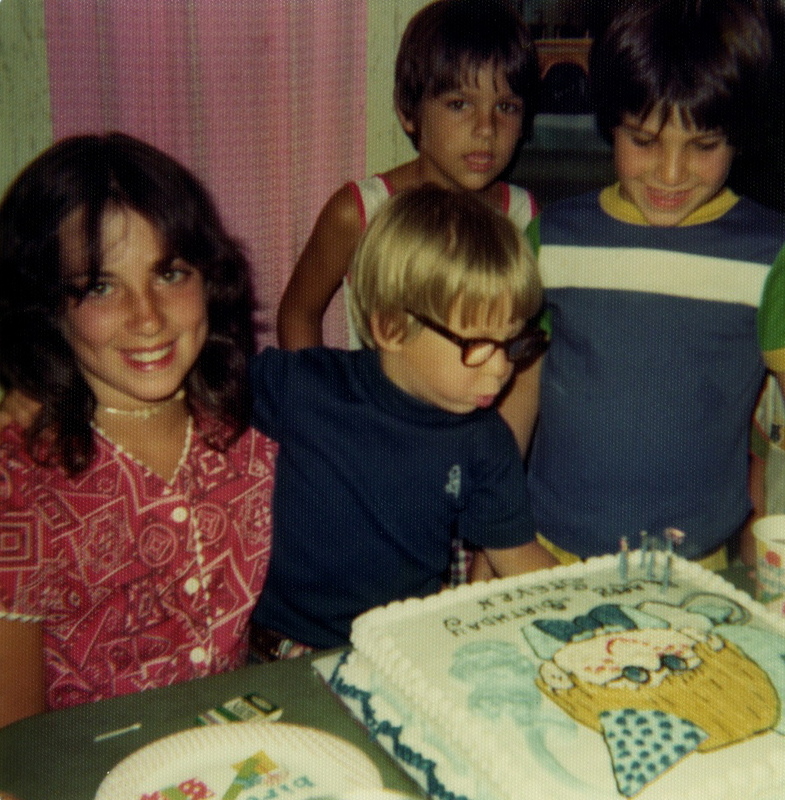 Throughout Steven’s childhood, we openly celebrated the officially sanctioned birthday, while — apparently — my mom quietly marked a day more meaningful for her. With the benefit of hindsight, I’m sorry we didn’t do more to recognize this special day before Steven died. It simply never occurred to me then. Today, Google quickly yields “13 Ideas for Celebrating an Adoption Anniversary,” advice on marking Family Day, Love Day, Arrival Day or Family Anniversary, and even adoption anniversary greeting cards. For the early 1970s, my parents were admirably open about my brother’s adoption, but it seems exponentially easier to find support these days. My mom, I imagine, still thinks about her son on his “Arrival Day,” a day that now also represents grief, rather than the pure joy of the day Steven became part of our family. Do you have out-of-the-ordinary dates that have special meaning for you? How do you honor them? Or, how would you like to start honoring them? Really nice story. I never really thought about it, but can understand why the “birth”day of an adoptee might not be meaningful to the parents. Oh, and I LOVE the photo! I just read your comment on my blog. Much like your mom, the kids’ birthdays aren’t particular meaningful to me, but the day they came home is very special since it marks the day we became a family. I”m sorry your mom never had the chance to share that with your brother while he was alive. What a touching post, Michelle. lovely food for thought on the way we honor all milestones and moments in our journey together in life and in love. Peace. « Lightning McQueen Found! Now What?